Hauntings leave no trace, but the effects of the poltergeist are often reported as being elemental in nature, causing harm to people, homes, and the mistreatment of items within. Poltergeist cases usually involve a hyperlocal investigation into the geophysical qualities of a site—to rule out natural causes for the phenomenon. The soil samples in this work were collected from sites of documented poltergeist cases. 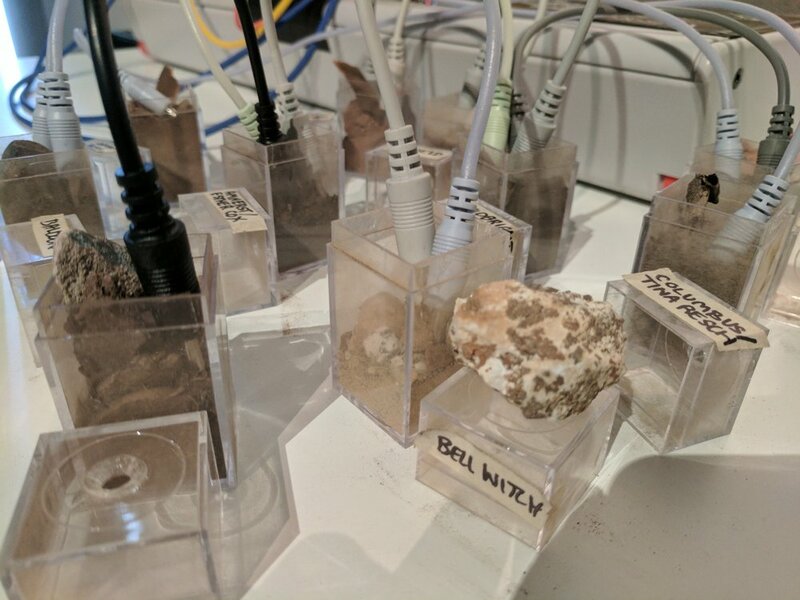 If landscape can be imprinted by supposed supernatural events, soil samples might act as a site for sonic excavation. 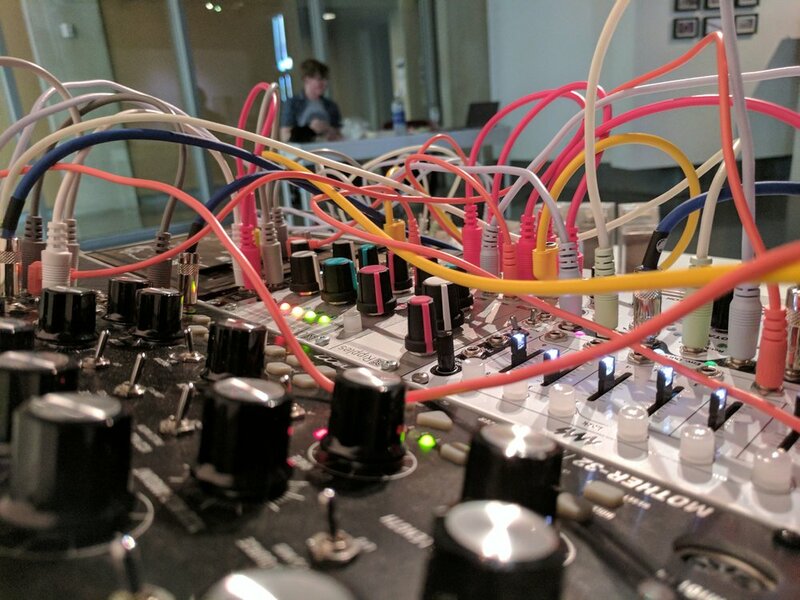 Experiments to amplify the sonic qualities of these samples occurs here through analog synthesis. 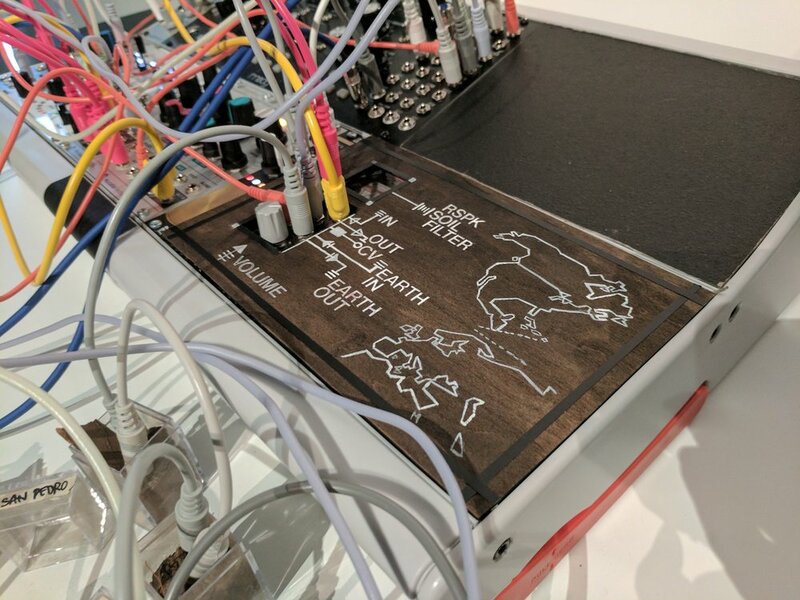 This synthesizer is customized for granular synthesis and the processing of external stimuli. 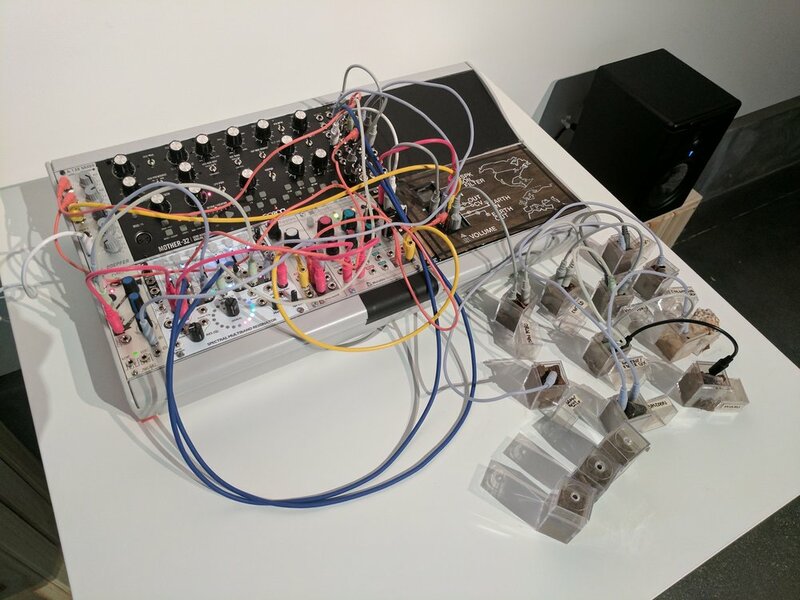 Patch cords plugged into “poltergeist dirt” create self-generating drones. 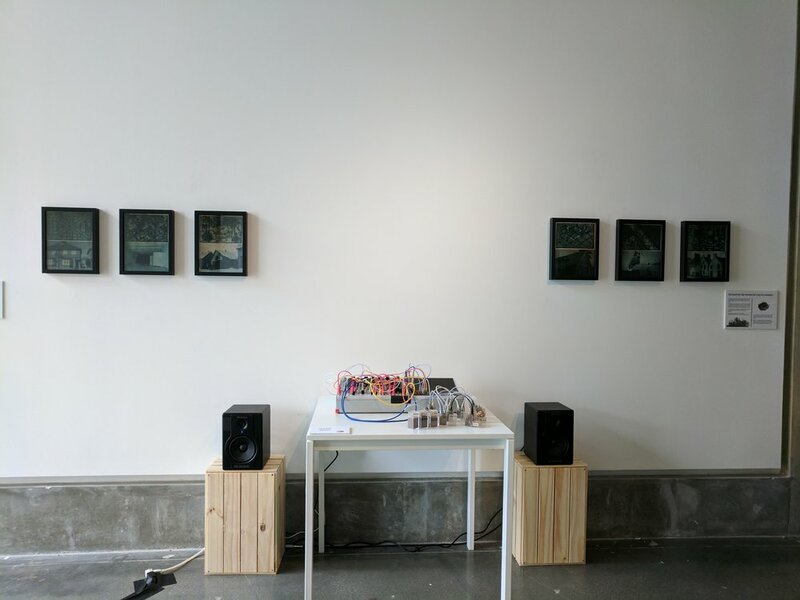 Its sound is partly generated by electromagnetic interactions—allowing the qualities of different types of dirt to be heard—influenced by the presence of metal and mineral deposits, and moisture levels.